The No. 24 University of Wisconsin men’s basketball team (16-6, 8-3 Big Ten) secured another signature Big Ten victory Friday night 69–61 over the No. 21 Maryland Terrapins (17-6, 8-4) at the Kohl Center. After a shaky first half, the Badgers came up with several big shots and hustle plays down the stretch to extend their current winning streak to five games. 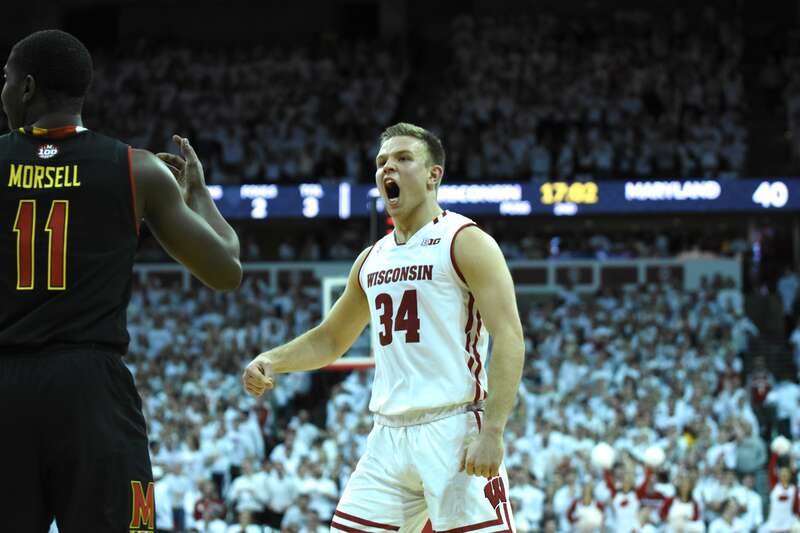 Though the Badgers were graced with electric performances from both Ethan Happ and Brad Davison, the difference Friday night came from the Wisconsin bench. Sophomore Aleem Ford provided 10 crucial points off the bench, including two second-half three-pointers to help extend the Wisconsin advantage. This, coming off a scoreless three-game stretch in which he went 0-for-7 from beyond the arc, was a testament to Ford’s confidence and the trust that his teammates have in him. “They were always in my ear saying the next one will fall,” Ford said. The three-ball proved to be a deciding factor in Friday’s victory. Wisconsin struggled to defend the perimeter in the first half, as Maryland opened the game 6 of 10 from deep. Poor transition defense and weak closeouts gave the Terrapins plenty of open looks, particularly for guard Eric Ayala, who went 4 of 4 on three-pointers in the first half. Just as important in the game’s outcome, however, was foul trouble. Maryland’s big men — Bruno Fernando and Jalen Smith — dominated in the first half, outmuscling Happ on the block and providing valuable rim protection on defense. But when they were each whistled for their third foul early in the second half, Maryland Head Coach Mark Turgeon was forced to go to his bench. 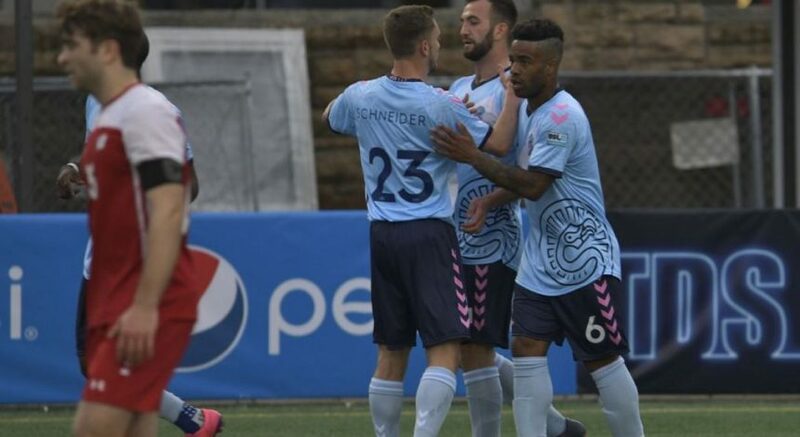 With the Terrapins in the penalty, the Badgers were given plenty of opportunities to score from the free-throw line, but Wisconsin was unable to take control of the game with Fernando and Smith out for nearly six minutes. The Badgers trailed by six with 12 minutes to go. But Wisconsin stood tall thanks to sharpshooting from Ford, Brevin Pritzl (2-of-2 3PT) and Davison — who finished with a game-high 21 points. 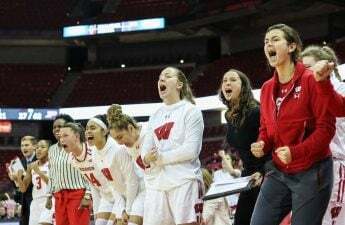 The Badgers made six of their last eight three-point attempts to take command of a hotly contested conference battle in front of a raucous home crowd. Davison finished 4 of 6 from behind the arc, firing up the intensity late in the game’s tightest moments. Wisconsin finished 9 of 18 on three-pointers. UW posted 23 free throw attempts — 12 coming from Happ — compared to Maryland’s eight. Happ finished with 18 points and 11 rebounds, his 45th career double-double. Turgeon was proud of how his team fought but realized he had limited options down the stretch. 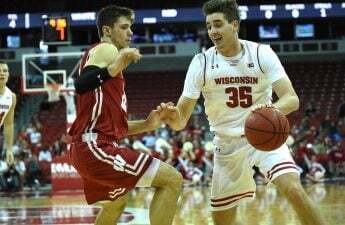 The Badgers held Maryland to 2 of 10 on three-pointers in the second half, while Ayala finished with 18 points. Fernando finished with 13 points and 10 rebounds. Up next, the Badgers travel to Minneapolis for a Feb. 6. showdown against rival Minnesota.